At the most recent West Geauga Board of Education meeting, the Board members (Ben Kotowski, Dr. Bill Beers, Kathy Leavenworth, Dan Thoreson, and Chet Ramey) were recognized for their participation in directing the schools. “The Board of Education serves a critical role in offering our students, staff and community the benefits of a high-quality education. We appreciate the Board members’ sacrifices of time and effort,” said Superintendent Rich Markwardt. Community members, staff and students were present to enjoy refreshments as a way to thank the West Geauga Board of Education for its dedicated service to students. 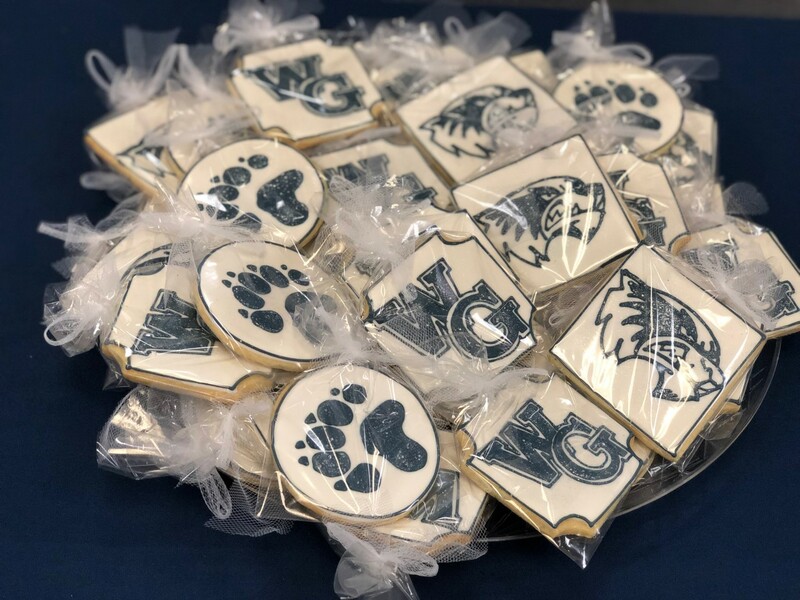 Custom cookies with the West Geauga School’s branding were created by local company Theresa’s Joy-Filled Delights to celebrate appreciation day for the Board of Education.